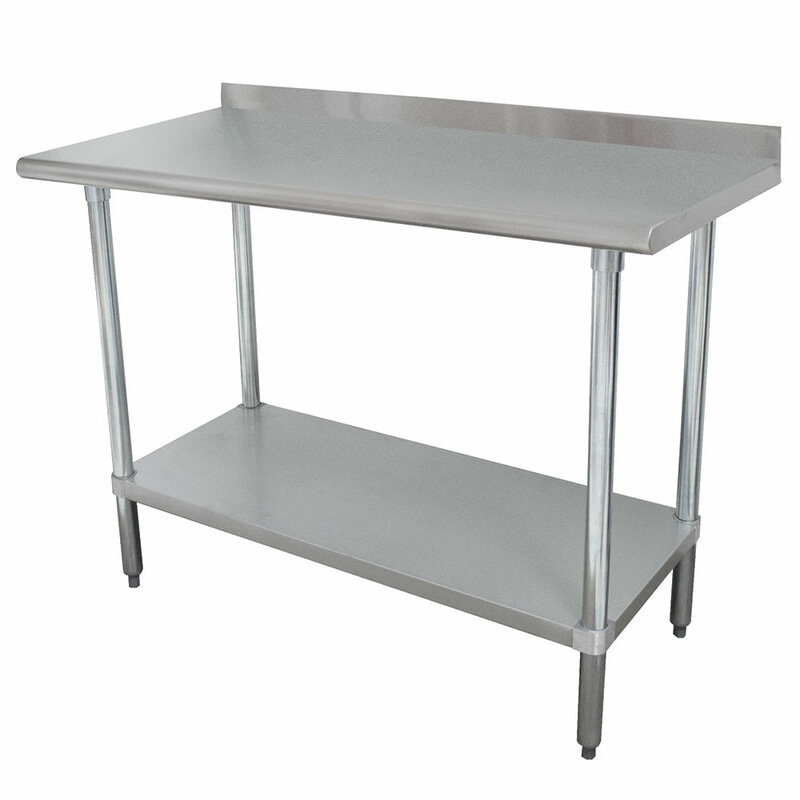 With a 24-inch width and 30-inch depth, the Advance Tabco FMSLAG-302 work table fits in a variety of spaces. Its top is sound deadened with a rolled front edge that eliminates sharpness, and on the ends, it is straight for flush placement against other surfaces. To ensure strength with long-term use, the top is made of 16-gauge stainless steel, which is thicker than the 18-gauge steel used for the undershelf. This durability supports high-volume prep work. Made with 8 percent nickel, this 304 series steel provides corrosion resistance when salty and acidic foods are used. Since the Advance Tabco FMSLAG-302 work table is all TIG welded, different pieces of metal have been melded together with tungsten electrodes to ensure structural strength. Adjustable bullet feet keep this table level on most surfaces, including uneven floors. You can find more information on commercial work tables and stands in this tables and stands resource guide.